The Court of Appeal has held that a writ petition filed by Ven. Battaramulle Seelaratana Thera seeking an order preventing authorities from taking further steps in the procurement process relating to the development of a 300 MW combined cycle power plant at Kerawalapitiya cannot be dismissed in limine. Therefore, Court of Appeal (President) L.T.B. Dehideniya fixed the matter for support for notice. President's Counsel Rumesh de Silva with Counsel Harith de Mel and S.V. Niles instructed by D. Vidanapathirana appearing for the 30th Respondent raised a preliminary objection that the application cannot be maintained on the basis that the prayers to the petition are not maintainable. 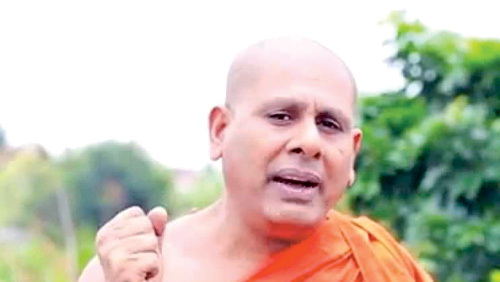 However, Counsel Pradeep Kumarasinghe appearing for the Petitioner submitted that he is not proceeding with the prayers (h), (i) and (G) where the Petitioner was seeking for injunctions and enjoining order, but he will be proceeding with the other prayers. The petitioner stated that Ceylon Electricity Board (CEB) has invited interested local and foreign companies to submit proposals for the previously mentioned project. "Therefore initially over 30 interested companies have obtained the Request for Proposal from CEB. However, only eight bidders have submitted proposal when the deadline for submissions expired on April 21, 2017," the petitioner added. The petitioner further stated that among over thirty interested parties only eight bidders submitted proposals which would ultimately minimize the competitiveness for an enormous project. The petitioner further said that the CEB as the procurement entity has personal interest in the procurement process that will have a huge impact on the transparency of the procurement procedure. The petitioner cited CEB, members of National Procurement Commission, the Minister of Power and Renewable Energy and several others as respondents. This petition was filed through Counsel Pradeep Kumarasinghe under the instructions of Pradeep Associates. The petitioner further stated that among over thirty interested parties only eight bidders submitted proposals which would ultimately minimize the competitiveness for an enormous project. It is common sense that whoever is in a position to execute the project only submits the proposal, so how can seelaratne force others to just submit the proposals, when they are not confident to handle the project.